Nearly everyone who contributes their hard-earned money to charity wants to know that their gifts make a difference for the cause about which they care deeply — and not for lavish offices, high salaries and unnecessary frills. The latest independent financial audit of The Fuller Center for Housing for the fiscal year that ended June 30, 2017, shows that 90 percent of revenues go directly to program work in the field — namely the building and repairing of homes across the United States and in 20 countries around the world. Less than 10 percent of gifts fund overhead expenses. The benchmark standard is for nonprofits to spend less than 33.3 percent of donations on overhead and administration expenses and to use at least 66.6 percent for program activities that directly impact the cause or issue they address. Of course, those percentages must be evaluated with many factors in mind — including the type of work done, the size of the nonprofit and the amount of gifts the nonprofit receives, but a charity that spends less than 66.6 percent on programs should rightfully be subject to questions from supporters and potential donors. The Fuller Center for Housing is a lean, grass-roots, Christian affordable housing ministry that has received the highest-level Platinum rating for transparency from charity watchdog GuideStar and meets all 20 standards as a member of the Better Business Bureau’s Wise Giving Alliance. President Snell said that, ultimately, effectiveness is not measured so much in ratios and dollars as it is in families who receive a helping hand-up into simple, decent homes. Two years ago, The Fuller Center saw record numbers of families housed. 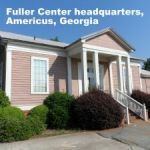 That record was short-lived as The Fuller Center exceeded those numbers in the past fiscal year. 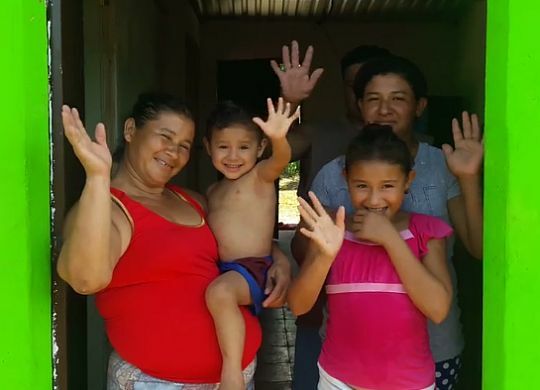 To date, more than 4,140 families have partnered with The Fuller Center to build new homes or repair existing ones — and The Fuller Center is poised for yet another record building year ahead. He added that even though administrative costs are kept to a minimum, there always will be some overhead required to maintain and grow the affordable housing ministry. “While I’m proud of our positive ratios, I’m not at all embarrassed that we have administrative expense and I’m truly grateful to those donors who give to help cover it,” Snell said. “The way I see it, as long as we’re doing our part to keep expenses in line then everything we do is program. Our success in the field comes in large measure from the tools and services that we provide.